The work doesn’t go away, so I had to figure out a technique that would help me tackle it. One article that appealed to me was about doing work in a 48 minutes segment and allowing 12 minutes of rest for each hour. Not bad, but even 48 minutes seemed too much for me. Then I started to break that 48 minutes down into chunks that I could work with. I discovered that I could focus on anything for 6 minutes at a time. Once I did six minutes I’d check off a little box. Then I thought “Well, I can do another 6 minutes.” And I’d do it. Before I knew it, I had hit 48 minutes and it was time for a 12-minute break and I had some work completed. I’ve used different timers over the last year. 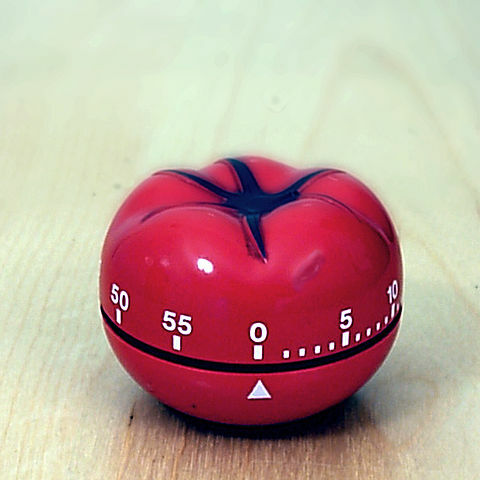 Currently, I’m working with the Pomodoro Time app which is based on the Pomodoro Technique (pomodoro is Italian for “tomato”). This technique uses different time increments, but I can adjust it to my 6-minute segments. I realize that I have tackled daunting tasks in the past, by just doing the work in little chunks. A few years ago I was hired to be part of Castle Fantasy Fair at the Royal Theatre at Disneyland. A fun musical comedy style retelling of classic Disney stories like Beauty and the Beast and Tangled. I was grateful to be a part of this cast, but there was a challenge. I could do comedy, I could sing. However, I’d never really done musical theatre dancing. I wasn’t sure how well I would do. At the time, I paired up with a friend of mine who had also been hired, Mark McConville (from Superego), and together the two of us worked our tails off to get those routines down. I would film the other actors and choreographers performing the dances and I would go over and over and over it again. I would use my breaks. I would play the video in slow motion so I could build the routine into my body. There were some days where I felt I would never get it. And then, slowly, it started working and I was put into regular rotation for the show. I have such an appreciation for the celebrities that go on “Dancing with the Stars” who don’t know the first thing about dancing. I have gone through it myself. But with continuous effort, focus, and just taking it a little bit at a time, that which looked unattainable and impossible was done. I encourage you that if you are facing a task that looks too big, try the 6-minute technique. You’ll slowly start to make a dent in whatever it is that’s been looming over you. I promise, you will make progress and you’ll feel better. Do you use different techniques for tackling projects? If so feel free to share on my Facebook page. The AMC show returns, but do you really need to watch it on a Sunday night? Walking_Dead_Waking_Up_Dead from Kevin Gregg on Vimeo. (Spoiler Free)Does The Walking Dead Have You Waking Up Dead? There is a concept that floats around a lot in the 21st century that, although it has good intentions, has been turned into something that I don’t think is very hopeful and encouraging for the human spirit. It doesn’t leave a good taste in my mouth. I understand the spirit in which these warnings may be given. Don’t squander your time or your resources. Unfortunately, there is a negative effect that comes with this. People may feel that they have lost their opportunities in life, that the train has passed them by and all they can do at this point is throw in the towel. I say: NO, NO, NO!!!! You always have the ability to make an impact. 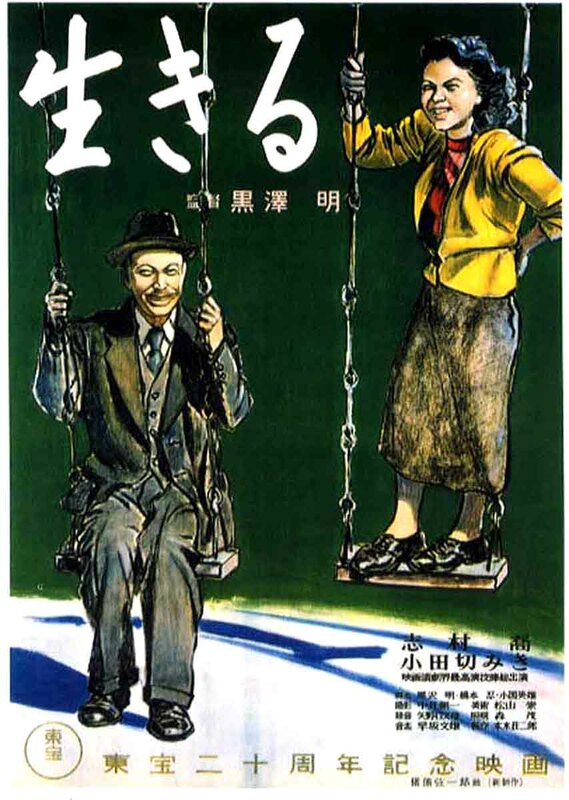 “Ikiru” is a 1952 film by the great Japanese director Akira Kurosawa who is know for “The Seven Samurai”, “Yojimbo”, “Rashomon” or “Ran” to name just a few. Though “Ikiru” may be overlooked, it has a powerful message that inspires one to move forward with our work and our influence, no matter how small it may be. The film tells the story of a longtime Tokyo bureaucrat who has lived a life of routine and boredom. His life is drastically changed when he discovers that he has been diagnosed with terminal cancer. At first there are waves of shock, fear, sadness and self-pity that overwhelm him. This transitions into an appreciation of life around him. But the last section of the film is that which truly inspired me. This dying man has the realization that although his time is short he can try to make a difference in his own small way before he passes away. I would encourage you to watch the film if you get a chance. I won’t spoil the story for you, but his work makes an impact in the community and effects his younger co-workers to model his action. “Ikiru” (which means “To Live”) reminds us that no matter how small our world is, or how restrictive our environment, there is something that we have control or influence over. We must find the strength, the support and hope to take action and make a difference. In this episode of “The Discussion with Kevin Gregg”, Kevin recounts to Jeremy his experience of not using his smartphone for a few days while he was out of town earlier this year. Enjoy the show and PLEASE help us spread the word. Rate and review us on Itunes and Stitcher.